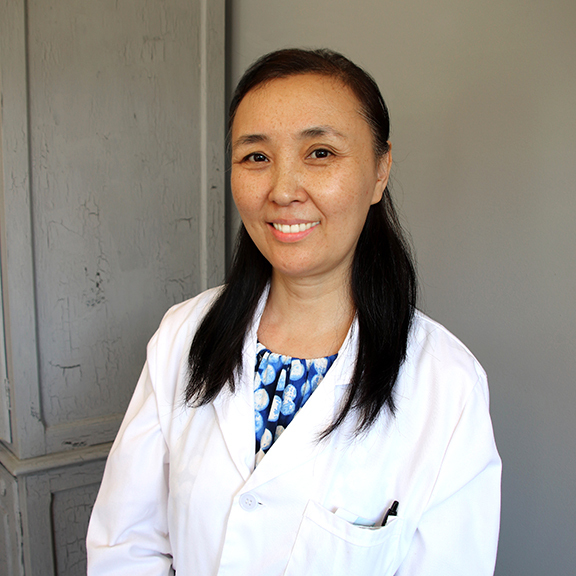 Dr. Lily Liu graduated from ShanDong University of Traditional Chinese Medicine (TCM), which is one of the top five TCM Universities in China. She practiced Chinese medicine and acupuncture in Chinese hospitals for over ten years. Later, she went to Japan to earn her PhD in Medical Sciences at Kyoto University in 2005. After practicing at one of Kyoto University’s associated hospitals, Osaka Kitano Hospital, she came to Washington University Medical School for her post-doctoral fellowship. She is now a national certified acupuncturist by NCCAOM, as well as a licensed acupuncturist in the state of Missouri. Dr. Liu uses her oriental and western medical training background along with a passion to diagnose the root of disease, which enables her to provide the holistic treatment that will help her patients to live a pain-free and healthy life.Â She uses traditional Chinese and Japanese acupuncture techniques to successfully treat a wide range of diseases, including arthritis, migraines, menopause syndrome, GI issues, depression, anxiety, pre- and post-surgical pain. Her strong medical training background, passions for patients well-being and her painless needle technique have satisfied patients who trust her for their ongoing health. We are pleased to have Dr. Lily available for appointments on Tuesdays, Fridays, and Saturday mornings.